Prior to today, the 30-year mortgage rate average bellwether has been slipping ever so slightly from its hard position of 4.125 percent from the last two weeks to a slightly lower point of 4.0 percent. The slight drop was due to many market watchers waiting to see how the Federal Open Market Committee opinions moved the market today, so no one was really interested right now to make drastic movements outside of that new information. Some pundits expected the response to be significant in terms of up or down movement. The potential swing was so wide by estimate, some were locking yesterday to prevent losses with higher rates by this weekend. Others were avoiding any rate lock, wondering if the FOMC comments would drive rates downward instead. The Feds did come out with a clear statement that further quantitative easing was going to end this year. They also made it clear mortgage-backed securities are going to soon be left to their own fate, causing rates to rise. The question that matters now is how fast that rate climb will occur. Many expect rates to rise, eventually causing the recovering economy to take a hard hit as well. That said, some still hope that the Feds are not ready to let the economy go off on its own and stumble again. Before that happens the Feds would be expected to step back in and drive rates down one more time. So, for Thursday position rates closed with the following averages. The 30-year fixed mortgage rate average is now 4.1 percent. The 15-year counterpart has risen to 3.35 percent, with individual variances low and high. 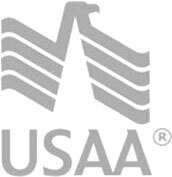 The FHA/Veteran’s Administration loan is now being pressured to move off of 3.75 percent, and the 5-year adjustable rate mortgage sits close to 3 percent and 3.25 percent.